If you were injured in a motor vehicle accident, a slip & fall accident, or a construction accident in Collingswood or anywhere else in Camden County, you deserve financial compensation to cover your medical costs, lost wages from missed time at work, and other expenses stemming from your injuries. If you lost a family member in a tragic accident, you deserve justice for your loss and an experienced litigator who will hold the negligent individual accountable for their actions – or for their failure to take appropriate actions. Accident victims in Collingswood NJ need a strong advocate who will fight on their behalf and maximize their financial compensation. The skilled personal injury lawyers at The Law Offices of Andres & Berger, P.C. are prepared to help you file a personal injury claim. Contact us today. The reality is that the legal process in New Jersey is complicated and often requires a nuanced understanding of intricate laws and procedures. That’s why you need a skilled personal injury attorney on your side. The knowledgeable Collingswood personal injury lawyers at Andres & Berger, P.C. are prepared to help you win your personal injury case. The Law Offices of Andres & Berger, P.C. is one of the most highly regarded personal injury law firms in NJ. 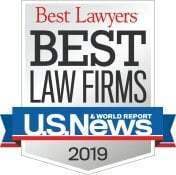 The firm was listed as a “Best Law Firm” by US News & World Report, while our lawyers been named among “The Best Lawyers in America” by Woodward/White Inc. The Andres & Berger legal team is composed of attorneys who have dedicated their lives to helping victims of negligence in Collingswood, Camden, and other parts of South Jersey. Attorneys Kenneth Andres, Michael Berger, and Tommie Ann Gibney specialize in personal injury law and medical malpractice law. 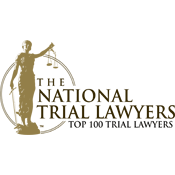 They offer compassionate care and high-quality legal representation to each and every client because they understand the emotional, physical, and financial toll that a serious accident can have on you and your loved ones. 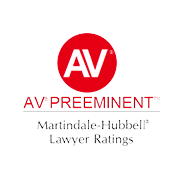 Mr. Andres and Mr. Berger are founding partners of the Andres & Berger law firm and both are Certified Civil Trial Attorneys – a distinction that only two percent of NJ lawyers have been awarded. 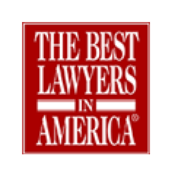 Ms. Gibney is also a Certified Civil Trial Attorney and has been selected by her peers as one of the “Best Lawyers in America” for Personal Injury Litigation every year since 2010. 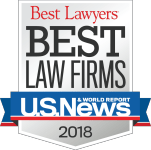 The experienced personal injury lawyers at The Law Offices of Andres & Berger are passionate about helping accident victims recover financially. 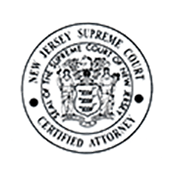 In fact, we have won millions of dollars in settlements and jury verdicts for our clients throughout Camden County and Burlington County, New Jersey. 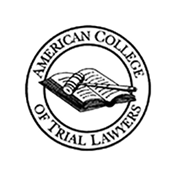 If you were injured in a motor vehicle accident on a Collingswood road, a trip & fall accident at a Collingswood shopping complex or restaurant, or any other type of accident anywhere in Collingswood, Andres & Berger, P.C. can help you. We offer absolutely free consultations in personal injury cases, so call us today. Collingswood is a small borough in Camden County, New Jersey. Collingswood has a total population of more than 14,000 people and a geographic area of roughly 1.9 square miles. Collingswood is part of the Delaware Valley, which is often referred to as Greater Philadelphia or the Philadelphia metropolitan area. Philly is located a mere five miles to the west of Collingswood, while Trenton, NJ is located 35 miles to the northeast of Collingswood. For many years, alcohol was banned in Collingswood because the borough was founded by Quakers in the 17th Century as a “dry town.” Although alcohol can now be served in Collingswood, there are still many restrictions on the purchase and consumption of liquor within borough borders. Downtown Collingswood has numerous restaurants, retail stores, and art galleries. The main section of the downtown area is Haddon Avenue, which the American Planning Association named one of the “10 Great Streets” in America. Collingswood offers several entertainment options at various times throughout the year, including the Collingswood Shakespeare Company Theater (which stages Shakespeare plays and other repertory), the Symphony in C Orchestra (previously known as the Haddonfield Symphony), the DePace Sports Museum and Library of Champions (a nationally renowned museum that houses thousands of historically significant sports artifacts), and the Collingswood Book Festival (the largest literary event in the Delaware Valley).